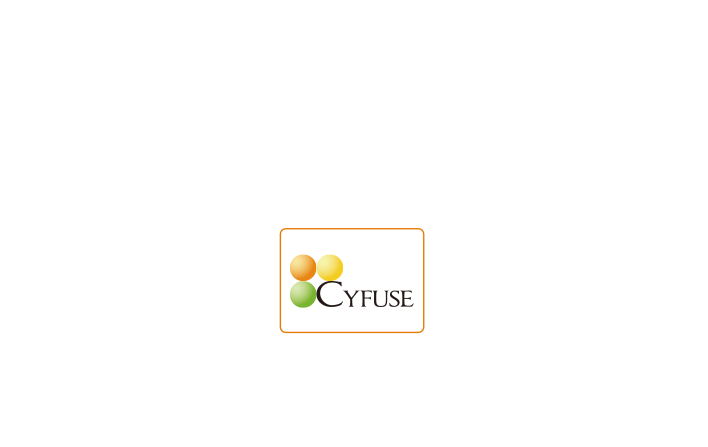 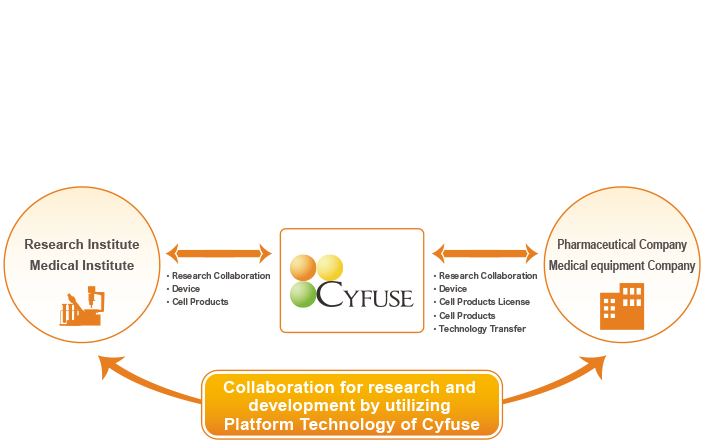 Strategy – Cyfuse Biomedical K.K. 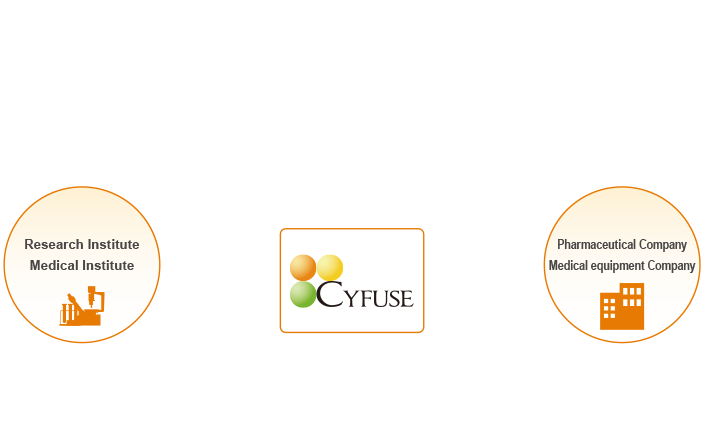 Create another possibility to Patients. 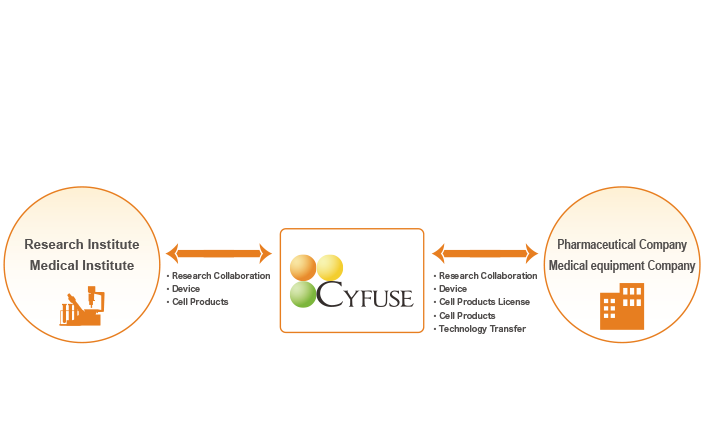 Our three dimensional tissue fabrication technology will contribute to developmental and corporate activity for those who involved in regenerative medicine development, which includes research institutes, pharmaceutical & medical equipment companies. 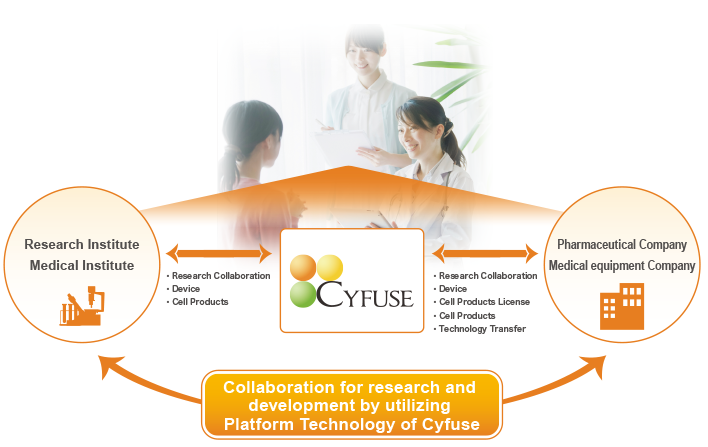 We hope to be necessity of collaboration among research institutes and companies, and be a key player of to support development of regenerative medicine.